At a time when many of the smartphones are just receiving their Android 5.1 Lollipop update, some of the Google Nexus devices are already receiving Android v5.1.1 OTA. Some Nexus 10 users have already started receiving the Over The Air update while factory images for 2012/2013 Nexus 7 devices were made available earlier. According to Nexus 10 users, the OTA update is much smaller than what they expected it to be. It required less than 14MB of downloading. However, there hasn’t been any reporting about the changes in the latest Android update. It is however expected that Google will be bringing some improvements in stability, performance, and some bug updates. 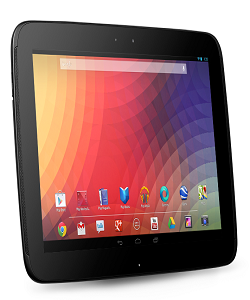 The Nexus 10 will be among the first devices to be receiving the Android v5.1.1 update. As factory images for other devices in the series are already available, other Nexus device users can also expect the update soon. A Google employee has already confirmed on Google+ that v5.1.1 updated for Nexus 9 is not far away. The company had to delay the rollout because of some bugs. In fact, Nexus 9 is a relatively newer device compared to the Nexus 7 and hasn’t even received the v5.1 update. Many devices, including brands from Samsung, HTC and others have started receiving Android 5.1 updates. As there’s no information about the v5.1.1 features, we will share with you the changes noticed in previous version. 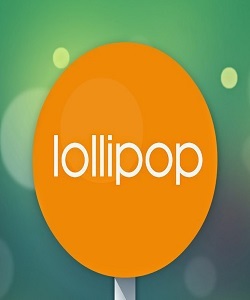 Silent Mode Makes a Return – In the previous Android version, it wasn’t possible to have the LED notifications without the device making some sound or vibration. But Google corrected the “mistake” by reintroducing the silent mode. Better WiFi “Intelligence” – The new Android OS will learn about those public WiFi signals that deliver nothing else but a poor experience. The next time it will not auto-connect to such networks. This feature will help save you both time and inconvenience. Smarter Notifications – You can silence most of your notifications thanks to the new “Until Next Alarm” feature. You can set the alarm and prevent anyone from disturbing you (especially if you are in the middle of a meeting). Safer Browsing Experience – It is claimed that Google may be releasing an update for v5.1 or a new app with a new VPN service for safer network browsing. It will be using a Google VPN for transmitting data securely over WiFi networks. It is expected that Google could rollout all these features in several other devices. Until then, we can keep our fingers crossed for the Android 5.1.1 version to be updated on Nexus 10 and wait to get our hands on an updated device or learn from the users.